Description: Basic4ppc is a powerful but yet simple development environment which targets both mobile devices and desktops. Basic4ppc supports a wide range of advanced features including: GPS, SQL, FTP, Web Services, Networking, Serial Ports, Graphics and more. Applications compiled with Basic4ppc do not require any special runtime libraries (Pocket PC 2002 requires Microsoft .Net CF 1.0). Description: eBook Compiler are simple to create: You do not need to be a programming genius or computer wizard! You do not need any special hardware or other gadgets. Even small and home businesses can, and have, successfully created their own E-Books using our software. Your E-Books are unique to you: You decide what you want to write in your e-book ...which means your finished E-Book can be totally unique product that nobody else has to offer. Description: LogicSim is an affordable and user-friendly Verilog simulator for ASIC and FPGA design verification. 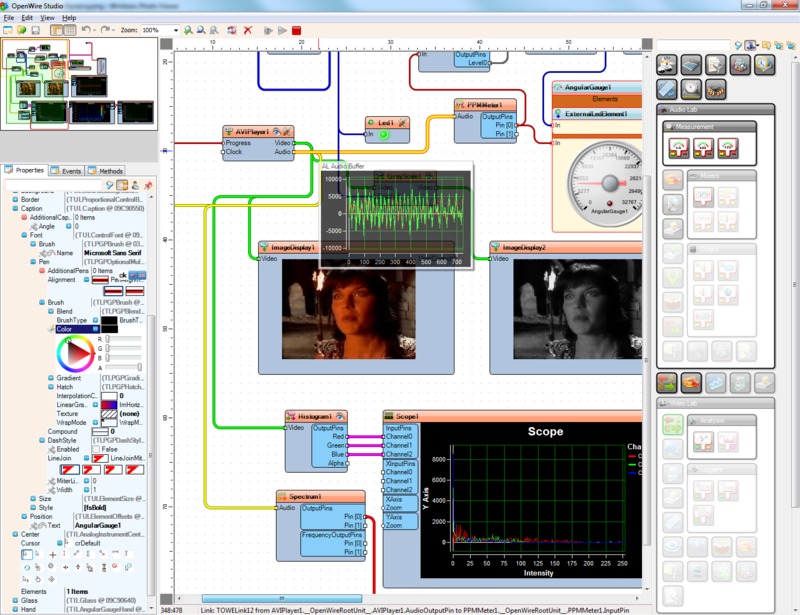 It offers a powerful and easy-to-use graphical user interface that lets you quickly simulate your Verilog designs. It's built on our state-of-the-art single kernel simulation engine MULCORED? (Multi-Core Event Distribution) technology. Description: Professional application builder and multimedia authoring system for creating a wide variety of utilities, interactive ebooks, presentations, catalogs, kiosks, educational/training materials, CD interfaces, slide shows, calculators, sales/promotional materials, custom apps, and more. intuitive drag and drop interface makes it easy for non-programmers to write their own software. Description: Graphical and data flow development and execution environment that contains the powerful stream processing technology that Mitov Software has been perfecting for over a decade. No other software compilers or IDEs are required. OpenWire Studio is designed to be extremely easy to use even by the most inexperienced users, while at the same time including very powerful and advanced features for the power users. Description: Common Lisp development system. Includes console and IDE Lisp interpreter and compiler. Possibility of creating EXE-files. Supports CLOS. It is smallest implementation of standard Lisp, just 1MB of binary code. Description: Web Application Kit enables software development teams to create B/S type internet applications from C/S type PC software projects directly and effectively. It can generate both ordinary PC programs and rich internet applications (RIA) at the same time. You don?t have to be master of HTML, ASP, PHP and JAVA, but you can still make you software to be web based applications. Web Applications Kit transplants software to browser side. Description: Wiki2EXE compiles wiki-like source code into stand alone programs. Several styles of linking are supported like: inline links, hyper links, email links, program links and document links. The syntax used is easy to understand too, and you'll be up and running with only a few mouse clicks. The resulting executables are compact, and ideal for distributed documentation, courseware, simple menus, cheatsheets, and other light duty authoring chores.